The undersigned is directed to say that in partial modification to the Ministry of Housing & Urban Affairs OM No. 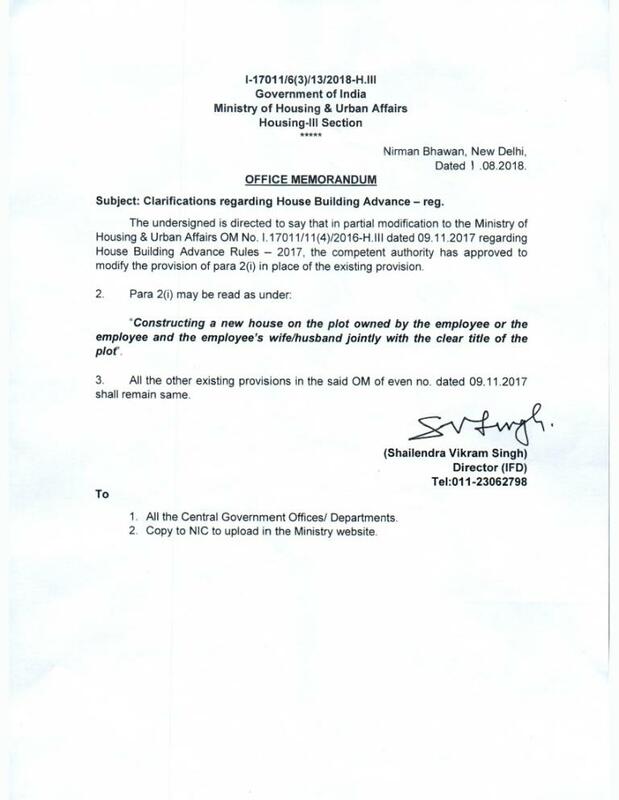 I.17011/11(4)/2016-H.III dated 09.11.2017 regarding House Building Advance Rules — 2017, the competent authority has approved to modify the provision of para 2(i) in place of the existing provision. Click to download MoH&UA O.M.